I remember when I first heard this beautiful song in a tacky remix, I was wondering what Shah rukh has done to such a song but later on found the original track on YouTube. For the first time I got to know that it was a classic romantic love song sung by a singer named Ben. E King. From that I heard a lot of his tracks and many of them are favorite now. 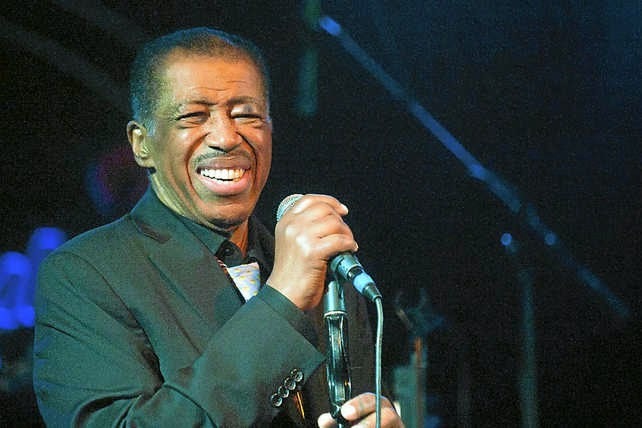 The unforgettable lead singer for the Drifters and a solo star whose plaintive baritone graced such pop and rhythm 'n blues classics as "Stand by Me," ''There Goes My Baby" and "Spanish Harlem," has died. King died at age 76, publicist Phil Brown told The Associated Press on Friday. Brown did not immediately have other details. A native of North Carolina, King was singing with the Five Crowns when he and his fellow band members were hired to become the new incarnation of the Drifters, who had several doo-wop hits in the '50s featuring tenor Clyde McPhatter. Their records were among the first in the rock era to use strings. The new Drifters had a more polished production and vocal style and quickly became stars in their own right, widely regarded as one of the greatest harmony groups. Like many early rock performers, King saw his career fade when the Beatles and other British acts arrived in the mid-1960s. King co-wrote and sang lead on "There Goes My Baby" and he and the Drifters followed with such hits as "Save the Last Dance for Me" and "This Magic Moment," mostly written by the team of Doc Pomus and Mort Shuman and some of the most romantic and emotional ballads of the early rock era. His beautiful voice is silent now but he will be missed always when his tunes will be played.